Just get out there and get it -- maybe a college degree, understanding your kid, a new hairdo, or the WRMK's Fuse tool because you want to get on the shaker card bandwagon. Whatever it is, hope it is something fine and good and that you get it. 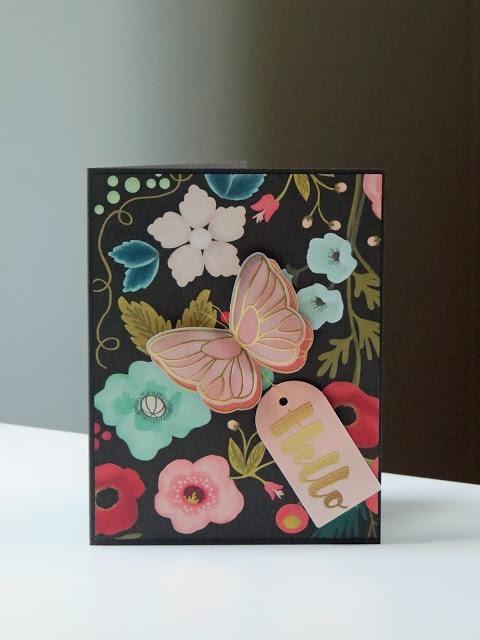 Inspired by Michele Ferguson's gorgeous card (below) that she made for the Muse Challenge -- black patterned paper, a tag, and a beautiful butterfly. There is still time to play in this challenge as entries are not due until Monday at 8 am! 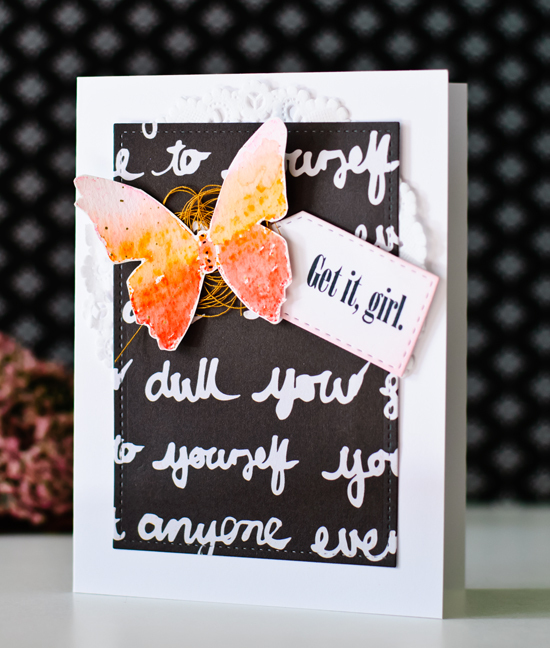 Agree with Laura - the butterfly looks like its Brusho-colored - looks fantastic! Absolutely wonderful card! Love this graphic take on the Muse, Joan! Glad you played along! Love your take on Michele,s card, Joan! Such a pretty butterfly! J.B. this is fab. U. lous.! Thanks for the plug!! Beautiful clean and simple! I love it! Wow Joan, this is such a brilliant take on Michele's card! 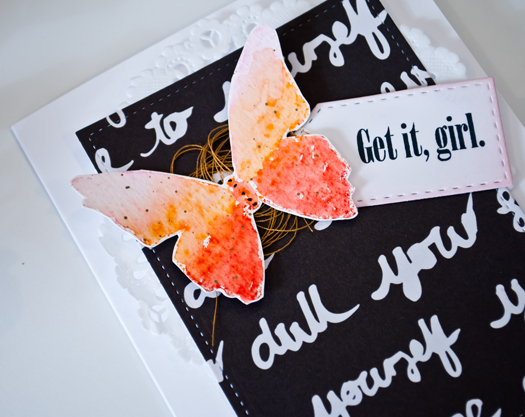 Love that background paper and the doily is such a cool idea. Beautiful! !